It's that time of year to start firing up the old barbecue again! So I am planning on grilling my nuts. Fans of baseball and dog lovers in the D.C. area have a new dog park to look forward to at Bardo Brewery near Nationals Park. Embattled White House Press Secretary Sean Spicer may have given us Bushgate but these shrubbery-shrouded pets and animals can rock the hedges just as good as ol' Spicey. 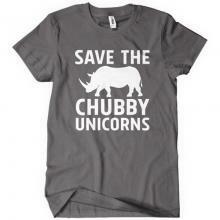 Get your point across about the danger the rhinoceros faces in becoming extinct with this funny Save the Chubby Unicorn T-shirt. It will really get you noticed! I'm not really Dorothy, just an incredible look-alike. And I'm not on my way to see the Wizard of Oz either. This story is not recent, but it is well worth re-telling. Mother, Ma, Mom, Mama, Mum, Mommy, Mummy, Mutter, Mutti, Maman, Madre, Mamacita . . .
Today on our show we will celebrate National Biscuit Day with my special home-made, paw-kneaded dog biscuits.